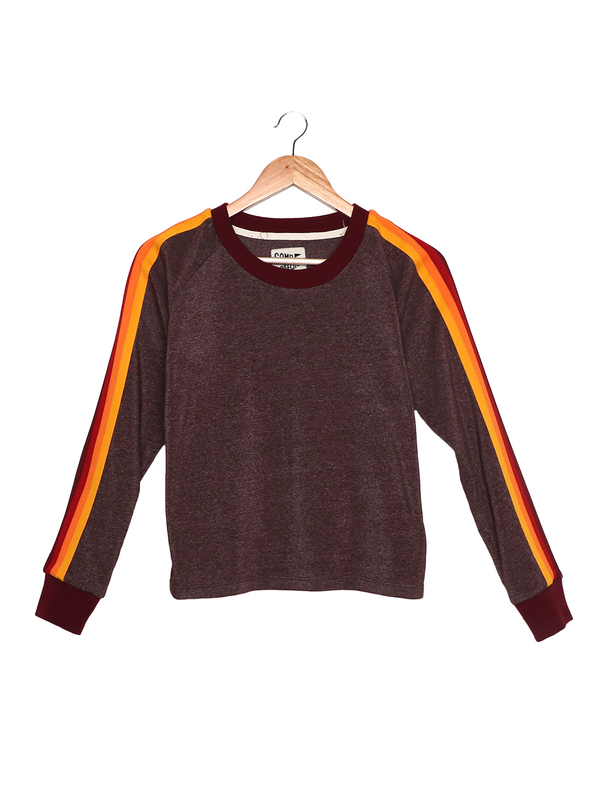 Get ready to run some laps (or take some naps) in our cozy new sweatshirt. 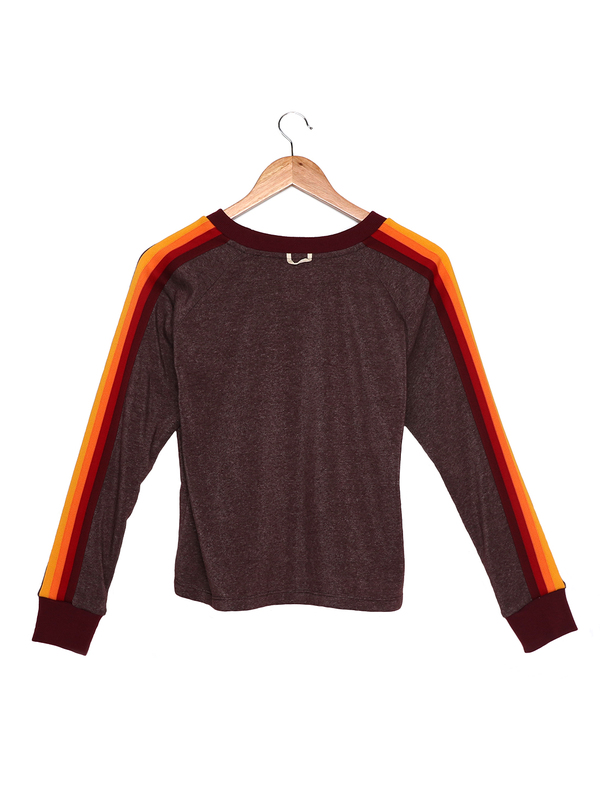 Long sleeve fleece sweatshirt with stripe trim down sleeves. Slightly cropped body. Varsity rib cuffs and neckband. Locker loop at back neck. – Machine wash cold, lay flat or hang to dry.